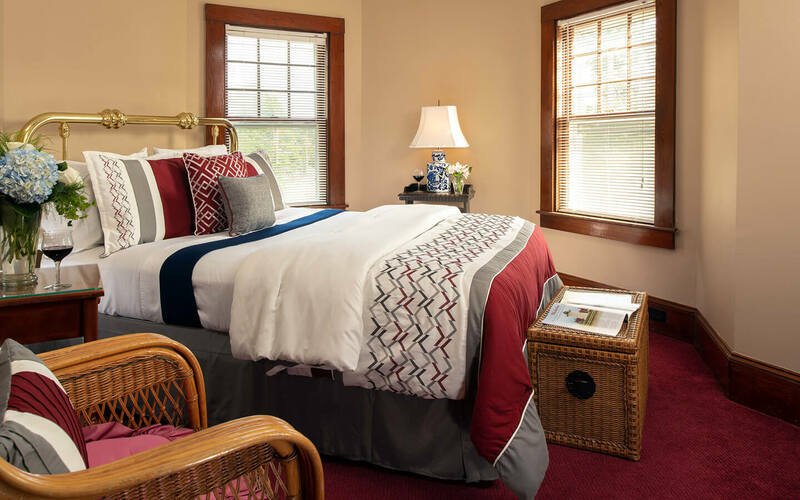 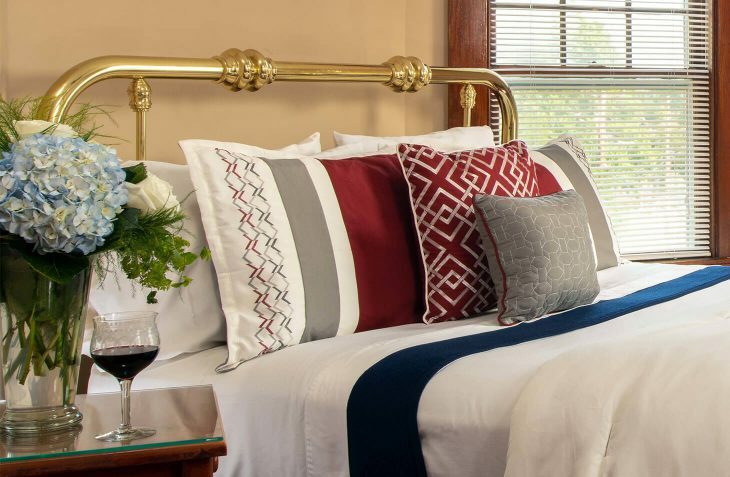 The “Tower Room” at our Cape Cod B and B is a quaint and charming third floor room with a nostalgic view towards Falmouth’s picture perfect Village Green. 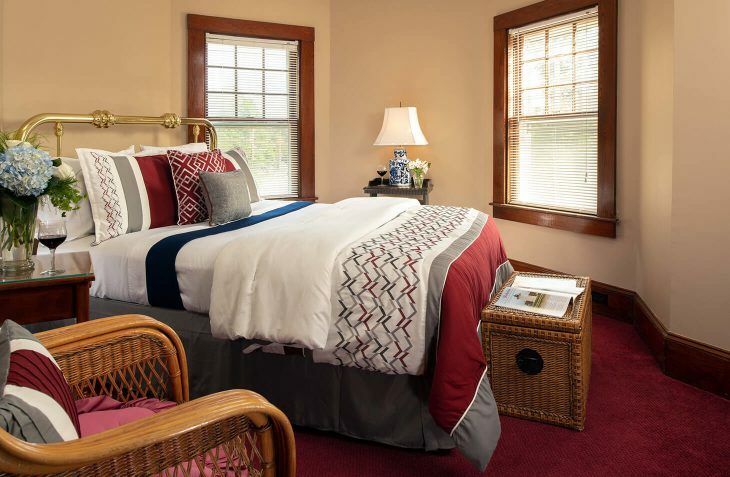 Room size: 154 sq. ft.